Materials Oceania 2019 is an exciting opportunity to showcase the new technology, the new products of your company, and/or the service your industry may offer to a broad international audience. Materials Oceania 2019 delivers over 200 attendees from over 30 countries supporting the development and commercialization of new innovations in the field of Materials Science and Engineering. 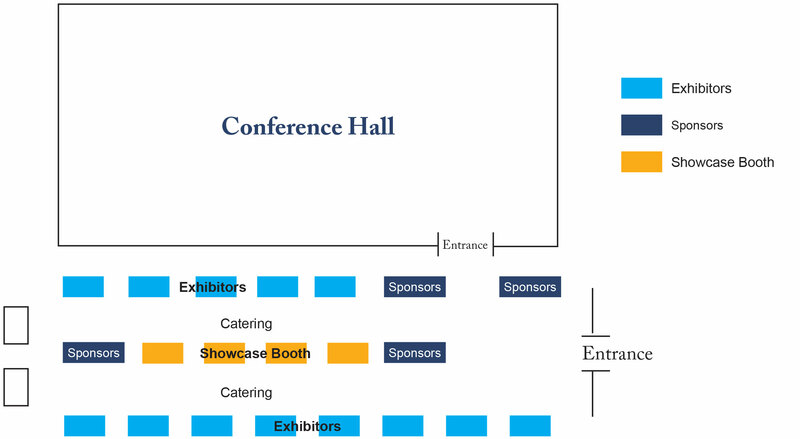 As an exhibitor, you will access the corporate executives, researchers, engineers and commercialization leadership that rely on your products and services to develop these new technologies. Join as a sponsor and be recognized as a leader in the Global innovation community in Materials Science. Draped booth space of 3*6 meters. Two conference passes & Two booth personnel passes. Web listing with link to your company website. Publication of the exhibitor profile in the souvenir (Two A4 colour pages). Participation in the One-on-One Partnering Program. Acknowledgement during Opening Ceremony & Gala Dinner. Speaker Opportunity in the conference program. Company logo on all on-site signage. Draped booth space of 3*3 meters. One conference passes & Two booth personnel passes. Publication of the exhibitor profile in the souvenir (One A4 colour pages). Industry prospectors are looking for breakthrough technologies that are ready for licensing, corporate partnering, or investment opportunities. This can include prototypes, demonstrations and display booths to showcase your innovative solutions at Materials Oceania 2019. Web listing with link to your organization website. Materials Oceania 2019 offers various Marketing and Promotional Opportunities for corporate companies. MPOs are an effective way to raise your company's visibility, effectively get your message and brand out to a targeted audience, generate more sales opportunities and increase the event's ROI. History has shown that companies that utilize MPOs generate more booth traffic, more sales leads and an overall higher level of satisfaction than companies that do not take advantage of these opportunities. Partner your Organisation with Materials Oceania. The Materials Oceania greatly values the mutually beneficial relationship it has with several organisations and institutions. We look forward in working together, aligning efforts and utilising resources with your organisation to have issues addressed in Materials Science and Engineering world. Are you interested in collaborating with Materials Oceania? You can send your request by completing the form below. For regular updates follow Materials Science Conferences website. © Materials Oceania 2019. All rights reserved.